It’s that time of year again when we exchange gifts and well wishes. Yes, Christmas is soon with us and this is a very special time for the Maltese people. The majority of the locals are Catholics and enjoy attending the midnight mass on Christmas Eve. One of the Maltese Christmas traditions which is celebrated during the Midnight Mass is the ‘Priedka tat-Tifel’ meaning preaching of the child. On this special occasion usually a 7 to 10 year old child does the preaching of the sermon instead of the priest, telling the story of the baby Jesus in Betlehem. Another common activity organized by local churches is a mini pageant with children acting out the story of the Nativity by dressing up as shepherds, and as Joseph and Mary carrying a baby doll. This re-enactment starts at 11pm and is followed by High Mass at midnight. During Christmas time, churches are embellished with lights and nativity cribs called ‘Presepji’. 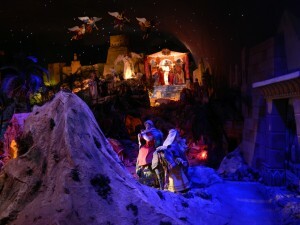 It’s also a tradition to decorate the cribs with figurines, called ‘pasturi’. Cribs date back to centuries ago when they were first introduced in Malta by rich Italian noblemen. They did not become popular until much later and many were actually burnt. It is believed that the first true Maltese crib was built in 1617 and was displayed in the Domenican Friars Church in Rabat. A crib dating back to 1670 can be found in St. Peter’s Monastery in Mdina. This is treasured and looked after by the Benedictine Nuns. As the popularity of the cribs increased, Maltese started building their own cribs and replaced the Italian ones. Moreover, imported Italian ‘pasturi’ were very expensive and many could not afford to buy them. As a result people started making their own “pasturi” of rough clay and plaster. Over time the popularity of cribs decreased and by the 20th century they were considered old fashioned. To reverse the declining popularity of Christmas, in 1907, a priest called George Preca founded children’s charity and society called ‘MUSEUM’. In 1921 he started the tradition of a Christmas eve procession during which a life size figurine of Baby Jesus would be carried around at the head of the procession. In 1921, on Christmas Eve in the streets of Hamrun, locals gathered to partake in the procession. The streets were lit up with different types of lamps, lanterns and Venetian light to light up the path for the procession. 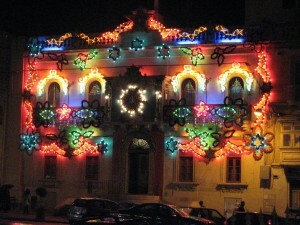 The idea became very popular with people of all ages and so the very special Maltese tradition started. These processions are still popular today and form part of the Christmas Eve celebrations. The Festive element is also seen in several Maltese households which are decorated with cribs, wreaths, candles and all kinds of decorations. It is also a very common practice to place a figurine of baby Jesus in the crib in the window lit up at night. Maltese families set up the Christmas tree and Christmas decorations at home. Although English is widely spoken and English Christmas carols are very popular, Maltese have their own Christmas carol ‘Ninni la tibkix izjed’ which translates to sleep and cry no more. Similarly to many other countries, presents are delivered by Father Christmas or Santa Claus on Christmas Eve and are opened in the early morning of Christmas Day. Christmas is also celebrated at schools with children acting during their Christmas concert. They do Christmas themed plays, mimes, poetry recitals, Christmas Carols and many others. It is also a common practice for classes to organize a small party prior to the Christmas holidays. Children bring some homemade food, presents are exchanged and a donation is collected for one of the local charities. In the past, the traditional Maltese Christmas meal differed from today’s. 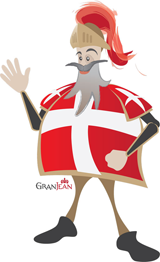 Nowadays families eat Turkey, Christmas Cake, Christmas Pudding and Minced Pies; which is a result of the British influence during their rule in Malta. Traditionally, the Maltese house-wife would keep the largest rooster, ‘hasi’ for Christmas Lunch, which was roasted at the local bakery in a casserole full of potatoes and vegetables. The traditional dessert served at Christmas was the Treacle Ring, ‘Qaghqa tal-Ghasel’, and to finish it off, a hot Chestnut and Cocoa Soup, ‘Imbuljuta tal-Qastan’, which was and is served as a cosy night cap during the cold December days in Malta. Visiting Malta this Festive Season? Celebrate the Christmas spirit at a luxury hotel in Malta and if you’d like to visit some of the traditional Maltese cribs and enjoy the local Christmas atmosphere kindly speak to Our Concierge Team. This entry was posted in 5 star hotel malta, About Malta, Accommodation Malta, Christmas in Malta, Dining in Malta, Excelsior Hotel Malta, Feasts in Malta, Holidays in Malta, Luxury Malta Hotel, Malta Attractions, Malta Events, Malta Restaurants, Maltese Traditions, Valletta and tagged christmas early breakfast, christmas lunch, christmas malta, christmas midnight mass, hotel in malta, Luxury Malta Hotel, maltese crib, Maltese traditions on November 26, 2015 by Denise Camilleri.